Have you just made an inspirational new video, podcast or blog post, which is packed with dazzling insights and pithy quotes you'd love to share across your social media? Or perhaps you've got some great images or words or ideas, but lack the time or creative juice to put them together into engaging visual content for your tribe? Let me help showcase your wonderful words and soundbites, the empowering wisdom and fantabulous hashtags, with beautiful content for your social media channels. I can swiftly design your artworks in Canvas (or Adobe Creative Suite if special features are required). I'm happy to create this directly from your video or interview file to find the best still image of you lit up with your inspiring words, to seek out quotes from transcripts. We can also work with your favourite existing images and catchphrases. Prices start at $30 per artwork, or 4 for $100 + special offers if you'd like the same design rescaled for different social media platforms. Monthly packages are also available to help activate your content plan. Contact me to discuss your creative ideas and to make this content happen! 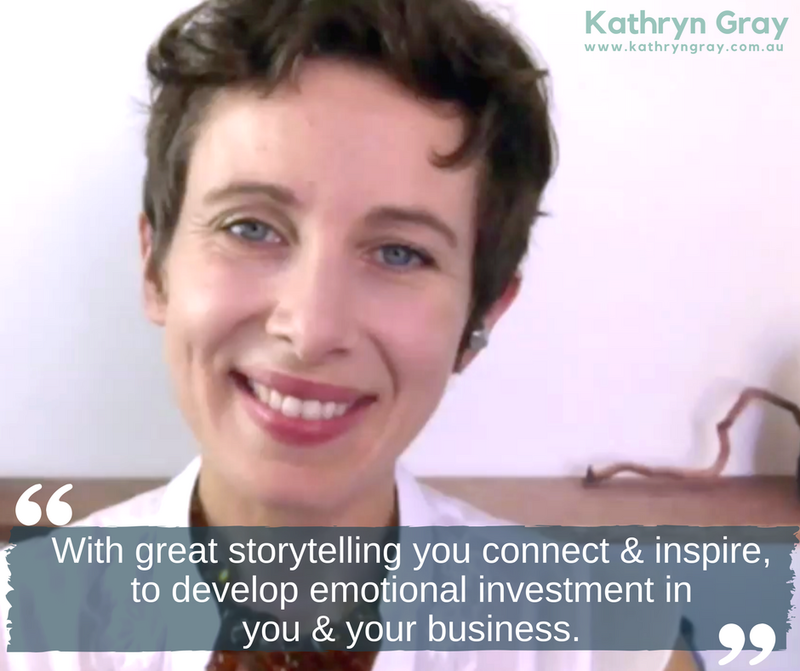 You can find out more about my approach to storytelling here, and I will soon be sharing more resources and programs to support you to make the most of storytelling in business! If your video is great but perhaps overly long and unwieldy, share it with me with your queries. I can edit your video down into smaller gems for different platforms, and add titles, chapters and your call to action. You can also find out about video co-creation services here.